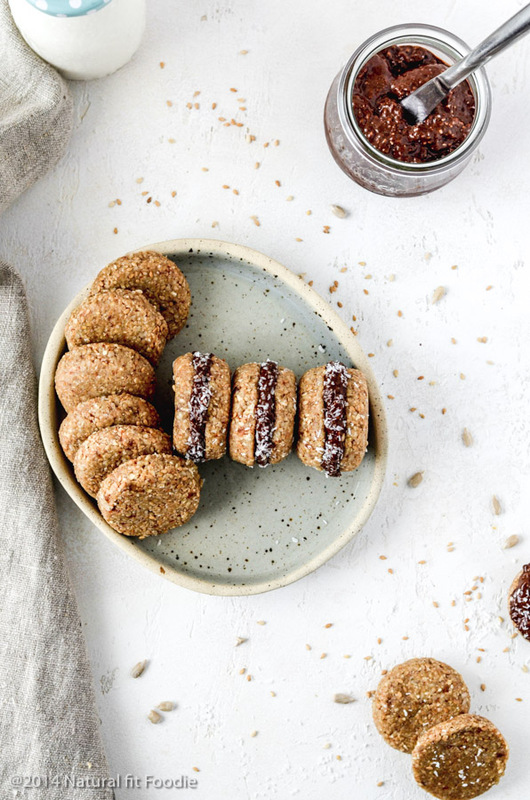 These raw no bake sandwich cookies are not just your everyday treat. This is a specially formulated seed cycling recipe for the second half of your cycle so that you can REALLY look forward to enjoying your seeds each and everyday. 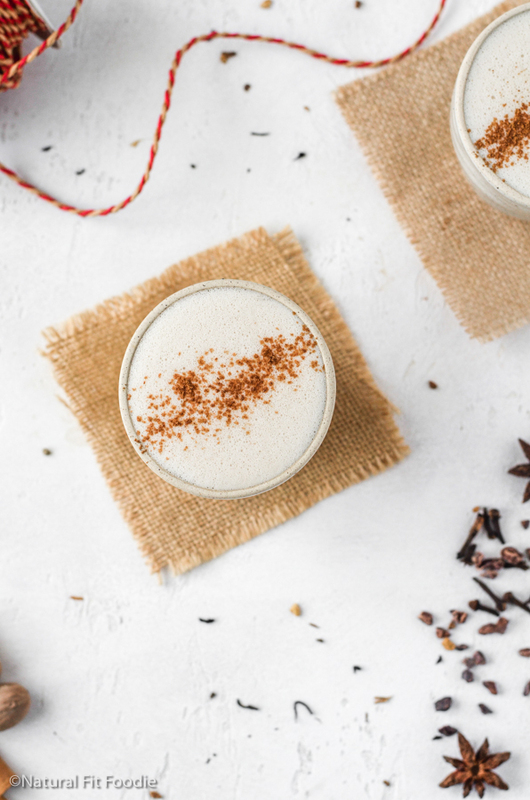 After my Almond Butter Fat Bombs went over so well with you ladies I just knew I needed to create more yummy seed cycling recipes, which is not the easiest task because the seeds must be raw and ground. As you may already know this is the best way to fully reap the benefits of seed cycling. 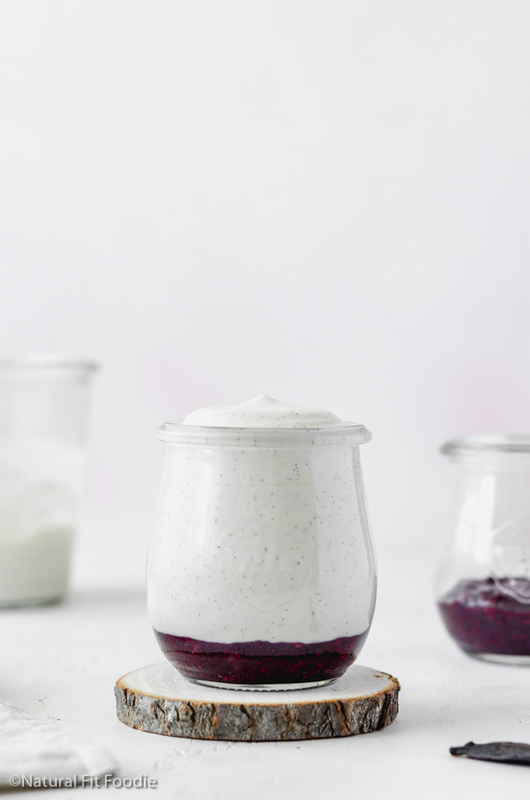 I was in my luteal phase and got to thinking about what other yummy raw recipes I could create. What about some no bake cookies I thought. Yeah that’s a good idea! I got cracking and as I put the ingredients together I realised that to consume the daily dose of seed cycling seeds you would need to eat two of these little cookies. And then it hit me… sandwich cookies! Put two of these no bake cookies together, fill them and make a sandwich cookie. And so the No Bake Sandwich Cookies for Seed Cycling was born. 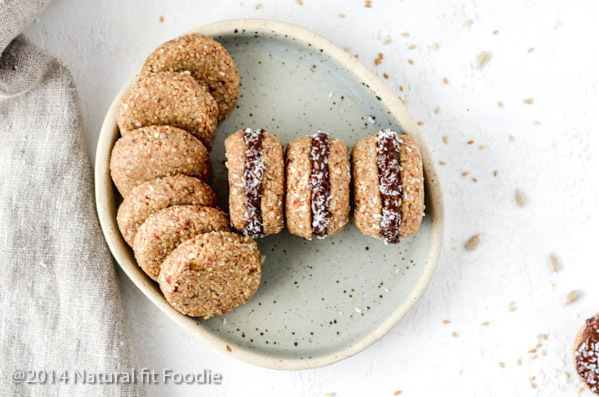 Can I eat these No Bake Sandwich Cookies if I’m not doing Seed Cycling? Yes, of course you can! In fact after I was done photographing them my hubby was like ‘Is it safe for me to have these?’ I’m like ‘No they’re for ladies only’ … hahaha. That was my attempt to keep them all for myself but unfortunately he didn’t fall for it. 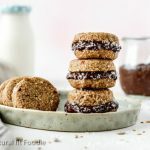 These No Bake Sandwich Cookies are absolutely perfect for everyone. They’re especially handy during the summer when most of us have no desire to turn on the oven. 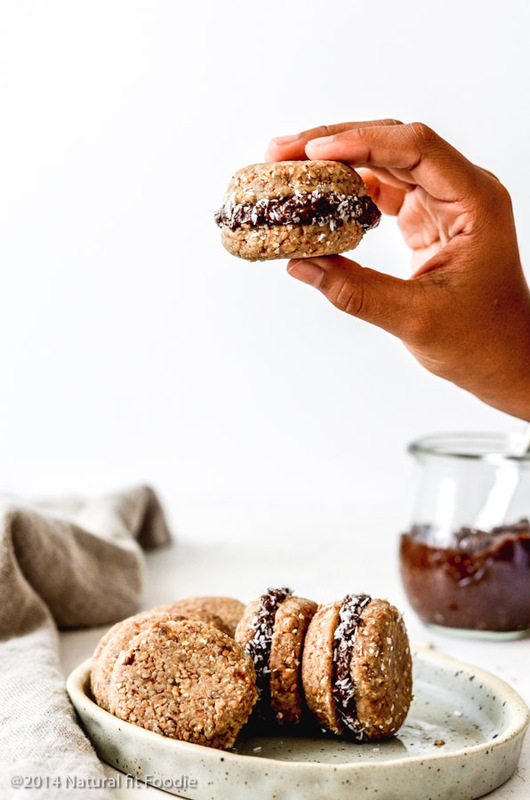 The filling for these No Bake Sandwich Cookies is a dark chocolate chia pudding. If you have any pudding left over after you’ve filled your cookies you can eat it straight or top your coconut oil oatmeal with it. 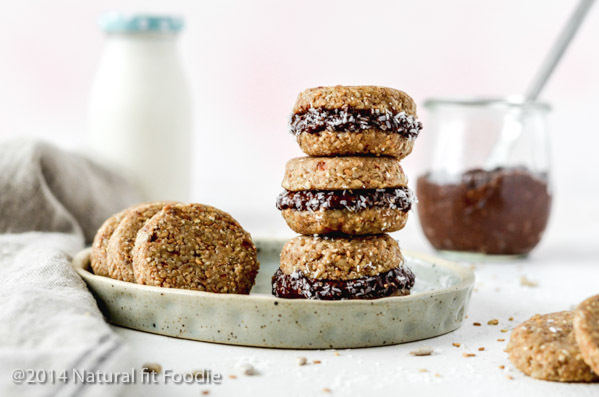 If you’re not into chia seed pudding enjoy your cookies plain or use another filling of your choice. For example you can slice a banana into coins and use one slice as the filling. You’ve got options. So tell me, have you tried seed cycling and do you think recipes like this will make it easier to follow through with the process? 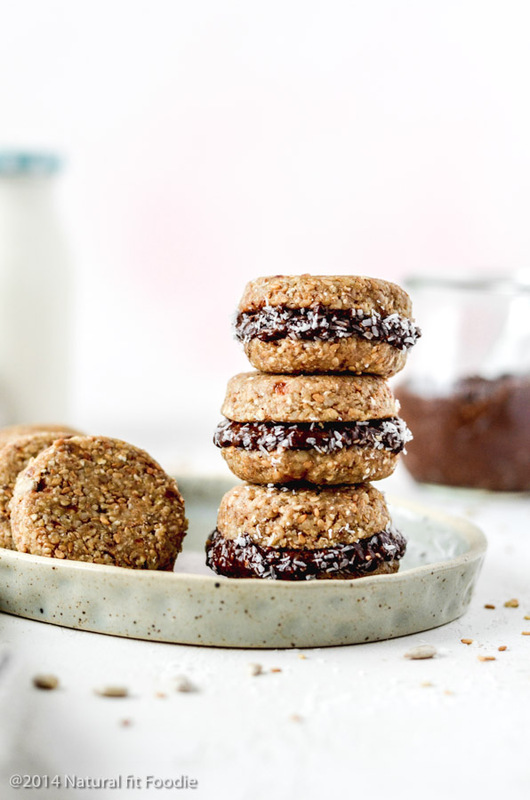 These raw no bake sandwich cookies are not just your everyday treat. This is a specially formulated seed cycling recipe so that you can REALLY look forward to enjoying your seeds each and everyday. Place another sheet of parchment on top of the dough and roll it out to about ¼ inch thick using a rolling pin. I thought I was on to something nice until I saw honey in the ingredients. This vegan doesn’t eat honey – it is an animal product. Of course, theoretically, extracting the sap of the maple trees may hurt insects or surrounding wildlife. So perhaps that vegan could just use some GMO crap refined sugar instead. These turned out awesome! Lutal phase cycling is always the hardest for me to not get sick. But these rock, didn’t do the chia seed pudding, maybe next week. Thanks for the ideas! Could i use the same recipe and just swop seeds out for follicular phase?